I teach music, not just instruments. 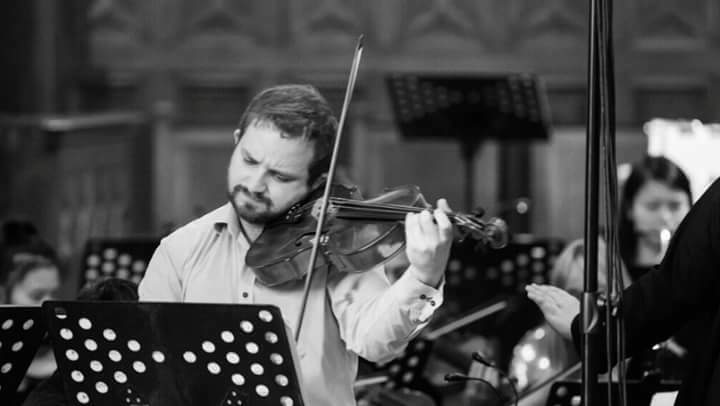 I am a professional violin and viola teacher, and a freelance viola player in demand around Australia and New Zealand. I moved to Melbourne to study at the Australian National Academy of Music in 2016. I have been teaching, playing, and studying music since 2009. That’s over 8 years of intensive experience of private and high school group tuition, international touring, orchestral, chamber, and solo performance. I have an individual approach for each student, everyone’s mind and physical bodies are different, so everyone needs a tailored approach. I will teach you to me an all rounded musician, from reading music, to theory, technique, history, improvisation, etc. I don’t teach things which aren’t relevant to actually making the music you want. I’ve taught people between ages eight and sixty, with learning disorders, performers of other instruments, prodigies, and beginners. I am always looking to be inspiring and to be inspired by my students. I have a current Victoria Working with Children Check.